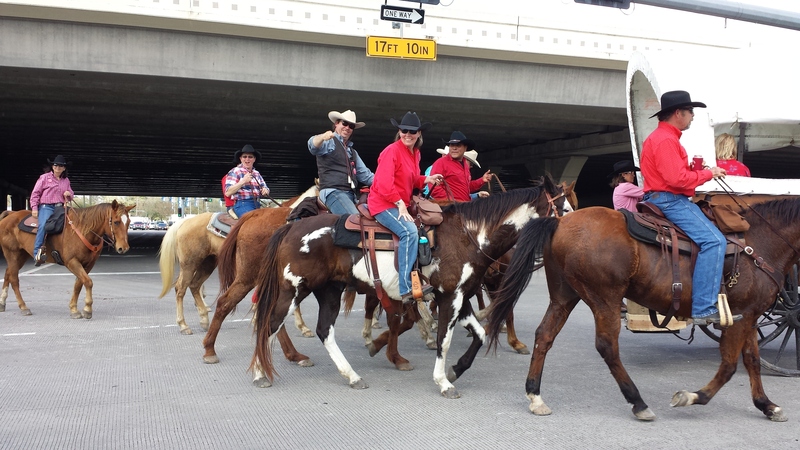 Hundreds of trail riders arrived in Houston this afternoon to signal the start of the Houston Livestock and Rodeo. 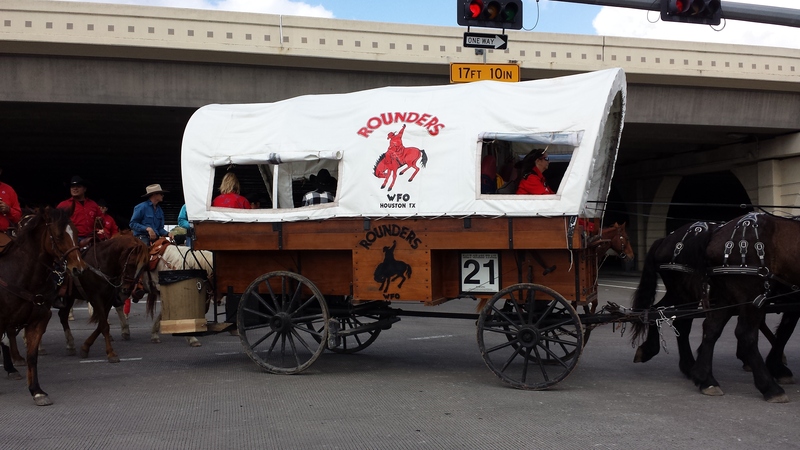 Friday also was “Go Texan Day.” On Friday, the Brazos River Riders, Rounders and Cowboys Cadillac trail riders stopped traffic at Antoine and I-10 around 2:20 p.m. 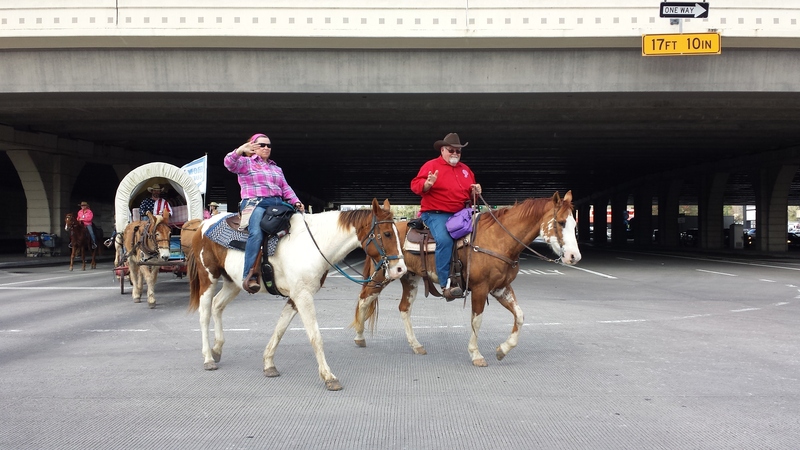 The short parade of trail riders traveled along the I-10 West feeder road, went south on Post Oak to join the other trail rides waiting along the I-10 south feeder street. The 3 groups are part of 11 trail rides converging in Houston. 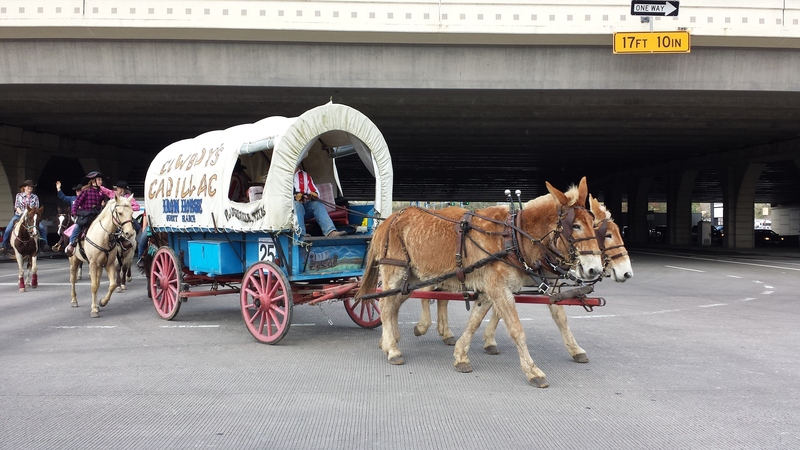 The trail rides follow the original routes of the early Texas pioneers. After spending tonight in Memorial Park, the trail riders will ride into downtown Houston for the Rodeo Parade at 10 a.m. Saturday. There’s also a Rodeo Run with wheelchair, 10K and 5K fun races, starting at 9:10 a.m. on Saturday before the downtown Rodeo Parade. Saturday also is the last day to visit the World Championship Barbeque Cook-off at NRG Park. The Houston Livestock Show and Rodeo is from February 27 through March 18th at NRG. 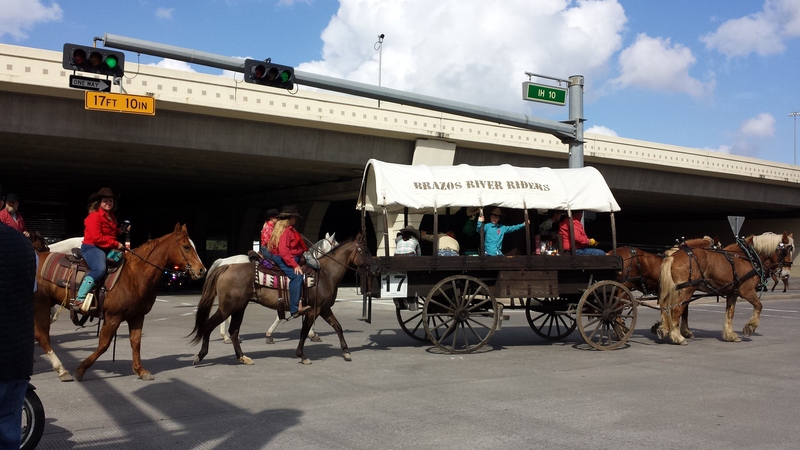 This entry was posted in Asian Community, Asian Community Houston, Celebrations, Community Events, Entertainment, Houston News, Houston Tourism and tagged Brazos River Riders, Cowboys Cadillac Trail Riders, Houston Rodeo Trail Riders Arrive, Rodeo Time in Houston, Rounders Riders, Trail Riders in Houston 2018. Bookmark the permalink.